1. Does the solar water heater work on cloudy days? 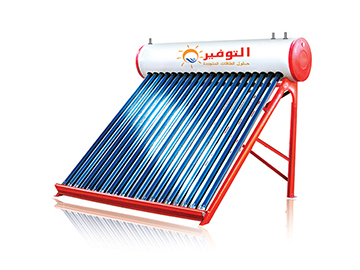 The solar water heater works on cloudy days by half of its capacity during sunny days. However, the water is heated to a suitable temperature for use. 2. 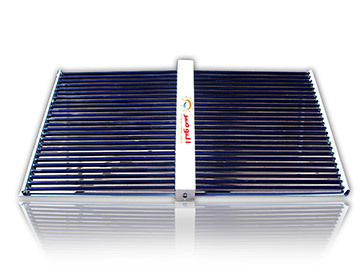 Does the solar water heater help in heating? No, the Solar water heater cannot be used in heating ,it is designed to provide hot water only, and when there is an urgent need to use solar water heater in heating, then specific models are used for this kind of use. 3. Can we have hot water in cold weather? The modern solar water heater with evacuated tubes works in cold weather, because the evacuation of the tubes doesn’t allow any heat loss, and it can heat water under 0 degree if it's sunny. This is due to the tubular shape of the evacuated tubes, and the fact that the sun is always perpendicular to the surface of the glass for the majority of the say. Since air is evacuated from the glass tubes to form a vacuum, it reduces heat loss from the tube. This means that wind and cold temperatures have less effect on the collector’s efficiency. 5. What is the needed time for heating? One hour of sunlight is enough to raise the temperature for bathing, and because the storage tank is big, so hot water will be available the entire day. 6. What is the average temperature of the water in summer and winter? On average, each tube 58x1800 heats 10 liters of water all year round by 60. 7. Is the evacuated tube break-resistant? Yes, the evacuated tubes are made of borosilicate glass which are heat-resistant and can resist hailstones up to 2.5cm in diameter. 8. What is the effect of frost? The evacuated tube isn’t affected by frost because the temperature won’t be below the inlet cold water temperature of the storage tank (which is not below 10 degrees). 9. What is the calcination effect on the system? The calcination effect is minimal on the evacuated tubes as the lime doesn’t precipitate on glass. Therefore it doesn’t cause blockage and the lime remains as wet salt and is easy to remove. 10. What is the requested maintenance? The surface of the evacuated tubes needs to be cleaned from dust by sponge and water. The system requires inner maintenance once every 2-3 years to remove any lime scale inside the solar water heater, which is a very simple process and doesn’t need the use of chemicals. Because lime appears as a moist and non-adhesive salt. 11. Is there any heat loss during the night? The hot water storage tank is insulated by a thermal installation layer of 5cm in thickness and it saves hot water for three days. 12. Is it possible to install a solar water heater on an occupied roof? Yes, the solar water heater with an evacuated tube takes less than 40% of roof space and it can be installed on the cold water storage tank by using a digital controller. 13. What are the benefits of the controller? The controller displays the temperature and the level of the water in the storage tank. It also controls water refill to enable a high-performance system, and it prevents the filling while using hot water so that the water temperature doesn’t change. 14. What are the advantages of the sub-tank? It decreases the pressure on the system, ensures not to mix cold water with hot water during usage.